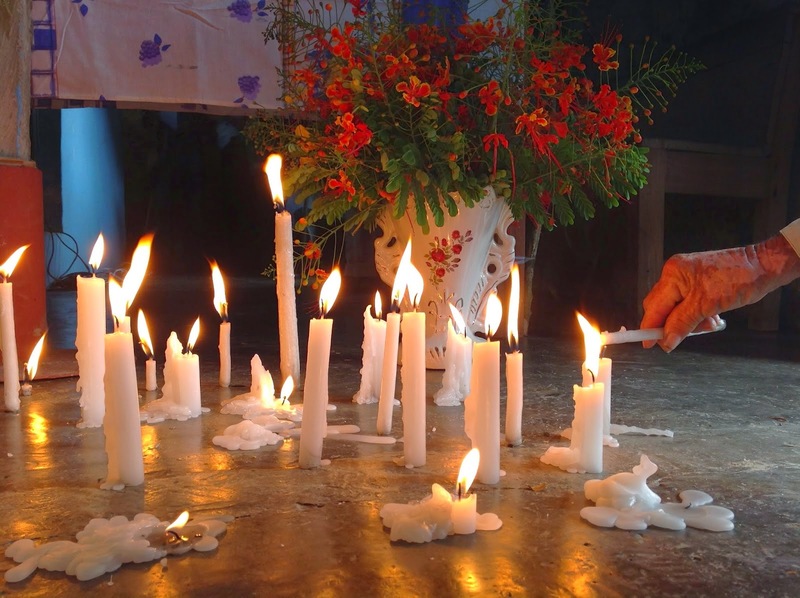 On 24 October, the “Heart of memory, sown on our lands” event was held in the Masojá Shucjá community, Tila municipality, in the northern zone of Chiapas, to remember the victims of execution, forcible disappearance, and forced displacement in this region between the years 1995 and 1999. Those present demanded justice in these cases and expressed their solidarity with the families of the normalist students of Ayotzinapa, Guerrero. In a communique published on 3 October, two years and 10 months after their forced displacement, sympathizers of the Zapatista Army of National Liberation (EZLN) from Banavil, Tenejapa municipality, called on the state government and the State Attorney General’s Office to investigate and punish those responsible for the firearm attack that led to their displacement as well as the forcible disappearance of Alonso López Luna. They denounced that the state and federal governments “have done nothing,” nor has the Special Prosecutorial Office for Indigenous Justice. They indicated furthermore that the federal judge of the Fifth Circuit in Tuxtla Gutiérrez had allowed for the release of Alonso Gusmán López, whom they consider to have been responsible for the death of Alonso López Luna. 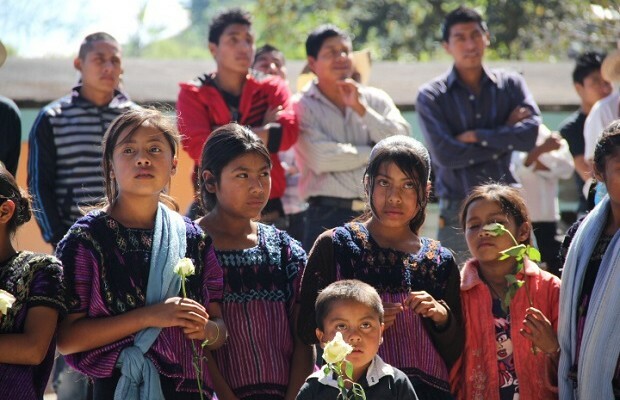 As they had announced in their press-conference on 12 April, the displaced from the Puebla ejido returned to their homes on 14 April, after spending nearly nine months outside of their community. Before the mass presided over by Felipe Arizmendi Esquivel, bishop of the San Cristóbal de Las Casas diocese, that was given on the land recently granted to the Catholics, the displaced shared their words. They once again affirmed that their return has been performed without any sort of justice having been done, and they stressed the role of the authorities in what had passed: “if something happens, it will be their responsibility,” they told the Secretary of Governance, Eduardo Ramírez Aguilar, and the Subsecretary for Religious Affairs, Víctor Hugo Sánchez Zebadúa, who were present at the event, as was the CNDH (National Commission on Human Rights). 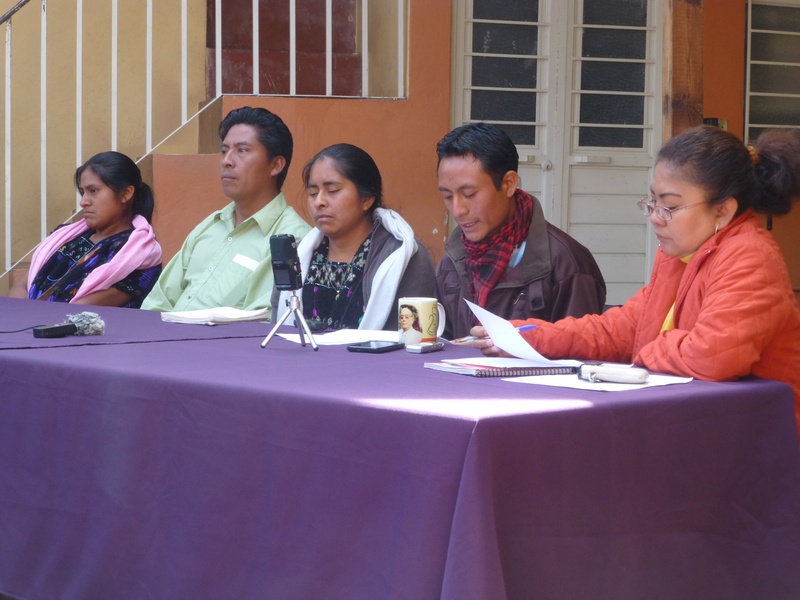 At 10am on Friday 11 April, there was held a press-conference at the Fray Bartolomé de las Casas Center for Human Rights by representatives of the 17 families of the Puebla ejido who find themselves displaced for nearly a year in Acteal due to aggressions they suffered in their community of origin. They termed their return a “return without justice,” denouncing that little to no progress has been made in these terms: “impunity continues. The aggressors have not received any punishment.” The representatives indicated the existence of a two-tiered justice system, given that there are problems which have yet to be resolved for years “in the cases in which there has been evident complicity on the part of the communal authorities.” In contrast, said authorities proceeded quickly to detain three colleagues of the displaced when they were accused of having poisoned the community’s water supply and to arrest two men for the burning of the home Macario Arias Gomez a month ago–these being people who had nothing to do with the crime, according to the displaced. 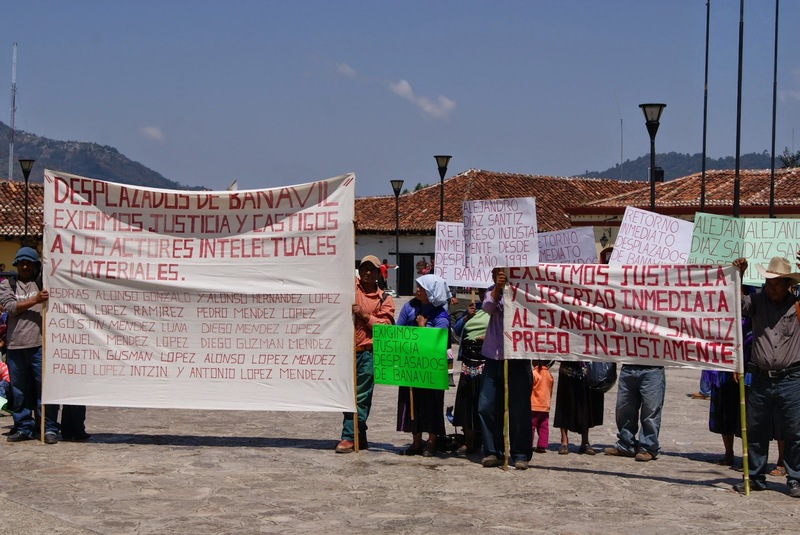 On 4 April, approximately 200 members of the Table of Coordination for the Defense of Human Rights which is comprised of 10 organizations from different municipalities in Chiapas marched in San Cristóbal de Las Casas to demand justice in the cases of the displaced from Banavil, Tenejapa municipality, and Aurora Ermita, Pueblo Nuevo Solistahuacan municipality. Protestors called on the government of Manuel Velasco Coello to ensure their prompt return with adequate guarantees and security, so that attacks do not recur against them. In a press-conference held in the Cathedral Plaza, the displaced and sympathizers of the EZLN from Banavil denounced that in recent dates they had been attacked with firearms, and that they had not had a response to their demands to date. The 75 displaced from Aurora Ermita, for their part, indicated that there exist new arrest-orders which were issued in response to their denouncing of death-threats against them. Two of these orders have been completed, with seven remaining. On 22 January passed 5 days since the (temporary) return of the displaced indigenous peoples to the Puebla ejido, Chenalhó municipality, but they have confirmed that security conditions for a definitive return are lacking. 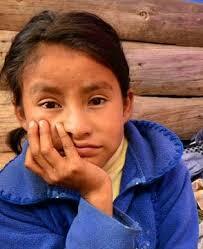 The displaced families abandoned the community six months ago due to aggressions and false accusations from the PRI authorities of the ejido. 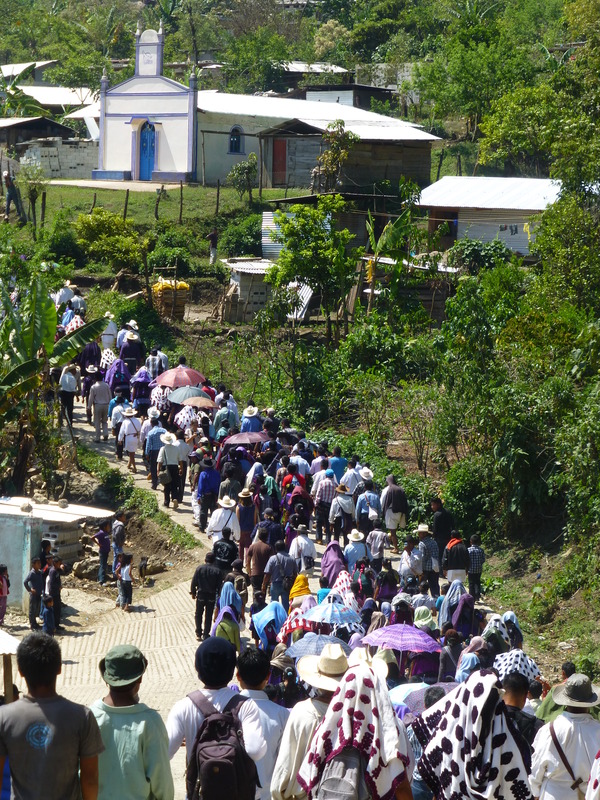 On 17 January, 14 of the 17 families who have taken refuge in Acteal traveled in caravan to harvest their cafe, as supervised by state and federal officials and accompanied by brigadistas who arrived to meet with the dominant group of the ejido, led by the Evangelical priest and commissioner Agustín Cruz Gómez. Escorted by state police, Secretary of Governance Enrique Ramírez Aguilar and subsecretaries Mariano Díaz Ochoa (Regional Operations), Belisario Rodríguez (Indigenous Peoples and Culture) and Víctor Hugo Sánchez Zebadúa (Religious Affairs), as well as Francisco Yáñez, a federal official, and a representative from Chenalhó, José Arias Vázquez. These all met on friendly terms with commissioner Cruz Gómez and other ejidal authorities responsible for the violence, displacements, and looting. They arrived with 16 agents from the Public Ministry (MP).